iPhone users looking for a very minimalist iPhone dock may be interested in a new design created by Oosh Design and named the ‘Q’. 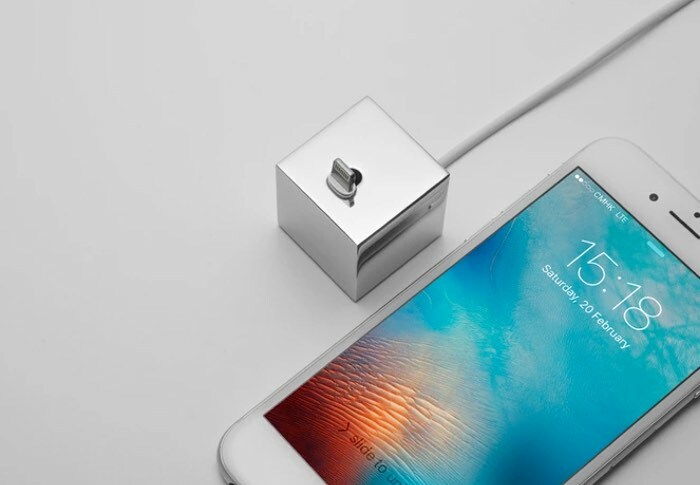 The cube shaped minimalist iPhone dock has taken to the Kickstarter crowdfunding website this month and has already raised the funds it requires to make the jump into production. Check out the video below to learn more about this small yet practical minimalist iPhone dock that is now available to back by Kickstarter from $29 for early bird backers. Oosh Design the creators of the Q explain more about its inspiration and design. The iPhone dock Is available in a number of different finishes including brass and copper and is compatible with everything higher than an iPhone 5. For more information on the new Q minimalist iPhone dock jump over to the Kickstarter website for details via the link below.